So today is day two of Monkweek. I have tried out monk once but didn´t play efter getting him to Orgrimmar as he was a Pandaren. Since it´s Monkweek I decided to try it again. The first I´ll try with is a female Pandaren that I choose a nice name for. Tachibana. Yeah. I played Samurai Warriors and I came to like Ginchiyo Tachibana. 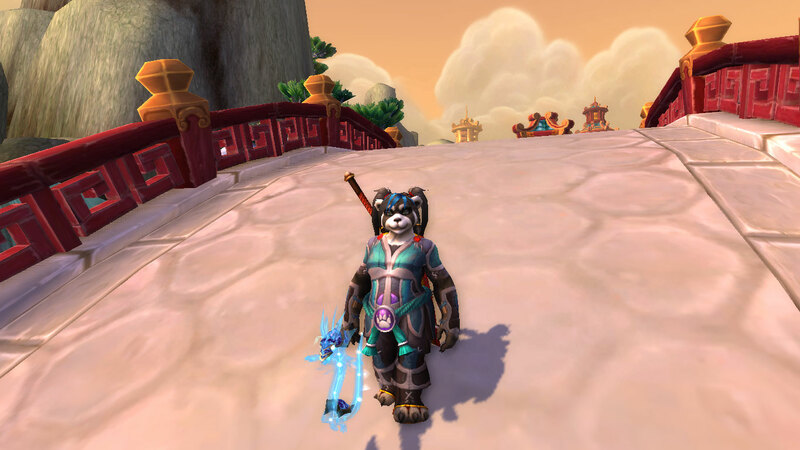 So I felt that I couldn´t choose a better name... Well... Tachibana wasn´t a monk, but I don´t want a Pandaren Warrior. So this week I´ll try to play a monk. When Sunday come I promise you a post on if my monk will stay or if it will take awhile before I touch that class again. At the moment it feels like she´ll stay for a while. It might take me some time more than this week to get a real feeling for if I can play monk. But at the end of the week I´ll still tell you how I feel about the class so far. But I can already say that I love the Pandaren. They´re chubby and they look like pandas. What more do you want out of them?